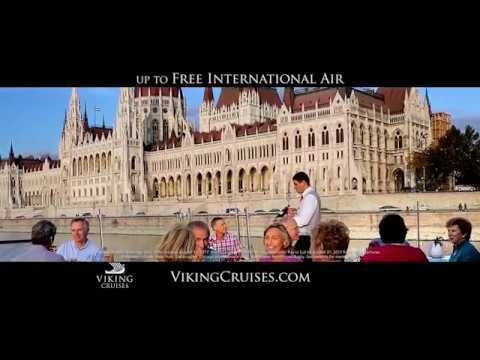 Viking River Cruises operates the worlds largest fleet of deluxe vessels built specifically for river travel. Choice of staterooms and suites Enjoy the comforts of a king-size bed that can be configured into twin beds, quality bed linens, flat screen TV with movies on demand, hairdryer, safe and spacious ensuite with a walk-in shower and premium bath products. A real home from home. All on board meals Breakfast of your choice, a delicious lunch menu and a four or five-course dinner in the restaurant, or alfresco on the Aquavit Terrace® on board the Viking Longships. Quality wine, beer and soft drinks served with lunch and dinner on board What could be nicer than a lovely glass of wine with your meal? How about another lovely glass of wine with your meal? Expert guided excursions Get to know more about the destinations you visit with a free excursion almost every day, including visits to UNESCO World Heritage sites and unique cultural experiences. More to do on board From cookery classes to entertaining talks, craft demonstrations to lively performances, tai chi to tempting tastings, you can do as little or as much as you choose. Tea and coffee any time on board Just help yourself while you drink in the views. Complimentary Wi-Fi on board So family and friends can keep up with your amazing journey. Centrally located superior, or first-class hotel accommodation If you have any land stays included in your journey, rest assured the included accommodation will be great. Viking River Cruises operates the world’s largest and leading fleet of deluxe vessels built specifically for river travel. With its fleet plying the waterways of Europe, Russia, Ukraine and China, Viking River Cruises is the world's leader in river cruising. Viking ships are Scandinavian in design, with open, airy interiors. Guests enjoy all the amenities they might expect in a fine hotel. Every stateroom has an “outside” river view with a window or balcony for viewing scenery, and on every ship, most windows open to the fresh air. While meals are casual, open-seating affairs, the atmosphere is always elegant. When you travel with Viking, you can relax knowing that all the details of your experience, both on board and ashore, will be fun and interesting.